...Plus other games, up for digital release! Inti Creates has announced their intention to bring Gal Gunvolt, a port of the 3DS game Mighty Gunvolt, to both PlayStation 4 and PS Vita. That's fantastic news, especially since Mighty Gunvolt was an extremely fun game in its own right on 3DS. The 2D action side-scroller with 8-bit graphics is headed for release in Japan on August 6 for about $5 (500 yen) and it'll only be available as a digital release. This is all part of the special announcement lineup for the Cross News Midsummer Game Experience Gathering going on in Akihabara on July 20. During the event, fans will be able to play Gal Gun: Double Peace, Mighty No. 9, The Witch and the Hundred Knight Revival, and Ray Gigant. 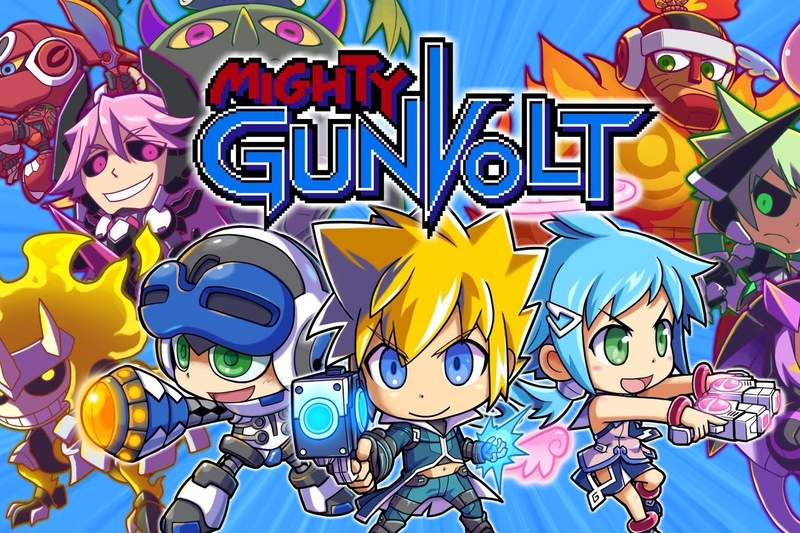 Hopefully we'll hear more about Gal Gunvolt, and what's up with the name change, too.